elctr sketch was made with Kyle Lapidus and Tali Hinkis from LoVid. 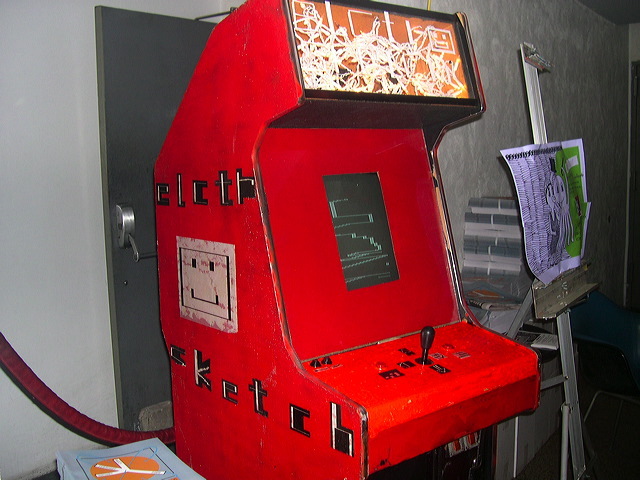 It is a homemade video sketch pad built into a vintage video game enclosure. The joystick controls a large drawing cursor and the various buttons shift and invert the image. An additional sound circuit provides bleepbloop videogame noises. elctr sketch was first shown as part of the 12th Annual New York Underground Film Festival and has since delighted millions of children around the world.